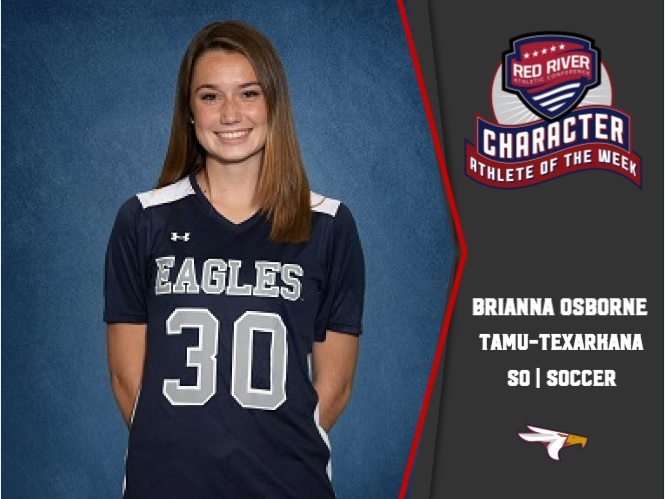 TEXARKANA, Texas – Texas A&M University-Texarkana soccer player Brianna Osborne was recently named the Red River Athletic Conference Character Athlete of the Week. As part of the RRAC’s commitment to the NAIA Champions of Character program, the conference recognizes student-athletes from member schools that have exhibited a high level of scholarship, sportsmanship, integrity, responsibility and community service. One student-athlete is selected each week based on character and commitment to his or her school and community. • She gives full effort to school, soccer, and the community.